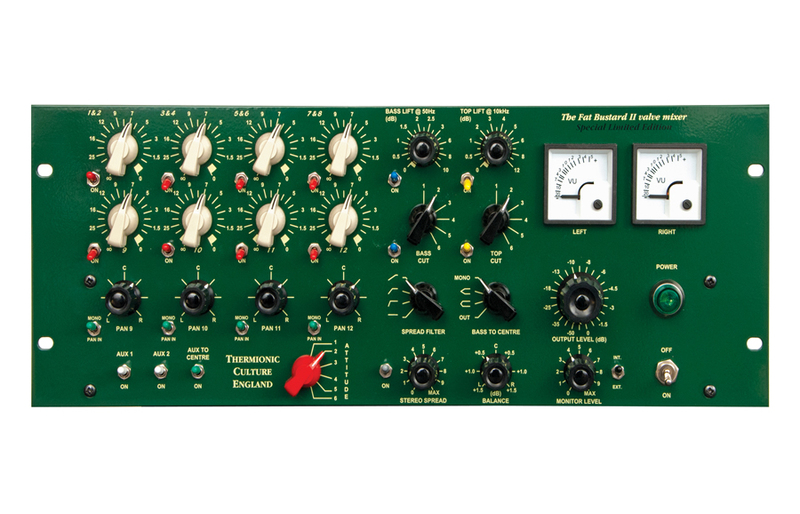 All valve 14 channel passive summing mixer with many extras! 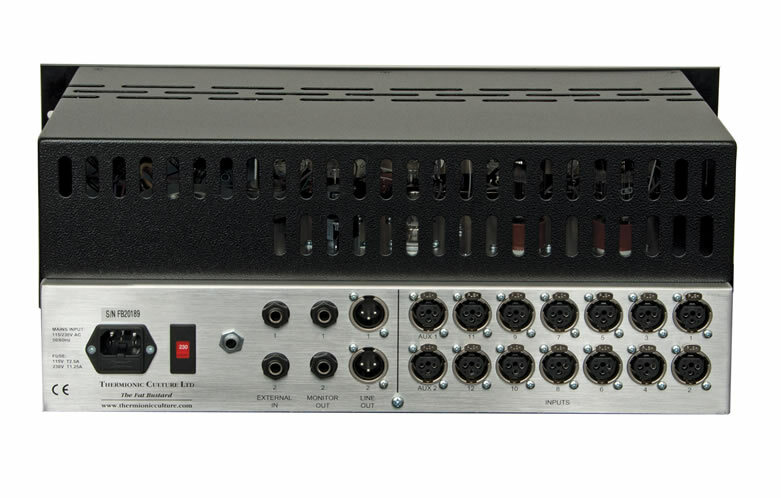 Pan controls on 4 channels with centre detents. Unique Varislope Top and Bass lifts plus filters. ‘Attitude’ control to add harmonics. Stereo width controls / Bass to centre and mono. Precision ELMA switch to control main level (fadeable). Monitor outputs with level control and switching. Hand wired with point to point wiring throughout. Exceptional sound quality- very low distortion except when required and massive ‘headroom'. Frequency response extends from below audio range to well above. Mixer (special equalisation for the mix,stereo width, bass to centre) but a little less colourisation and even lower distortion and noise, though not as much max “Attitude”. The top response now extends to 50+ kHz with consequently less phase shift. It uses 6072A double triode input valves in place of 5965s. Both Fat Bustards have exactly the same 14 inputs, and same controls. The black more Aggressive Fat Bustard continues to be made, so the user has a choice until all the Green ones have been sold. 1. BALANCING TRANSFORMERS to isolate the outputs from ground. 2. EXTERNAL POWER SUPPLY to effectively eliminate mains hum. Please check with your dealer as to prices for these extras. 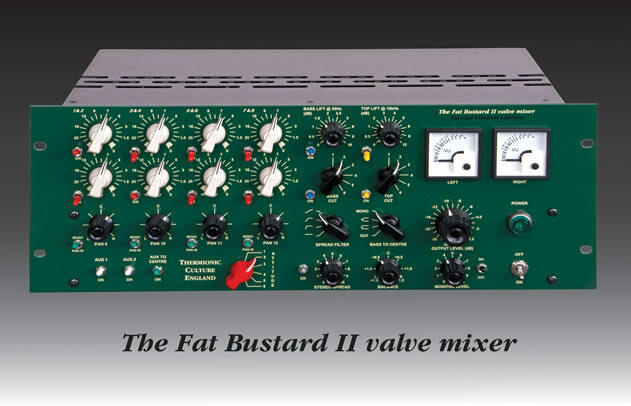 They can be retrofitted to any Fat Bustard by Thermionic Culture Ltd.